Count on us to care. 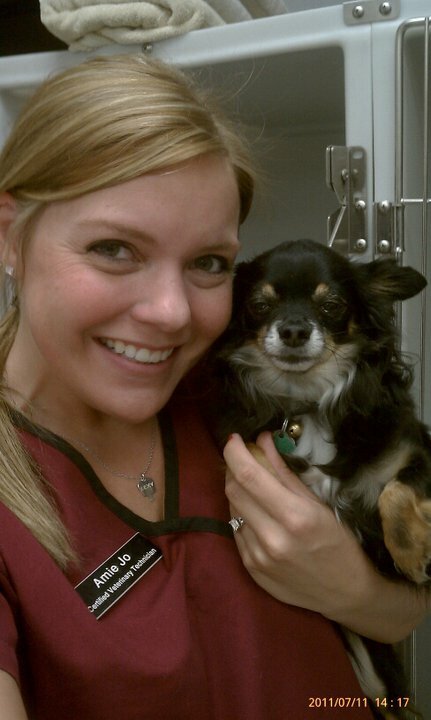 Our staff members have pets we love and we treat your pets as our own! Most clients have legitimate concerns about their pet's anesthesia safety. We absolutely agree. Anesthesia for each pet we care for is administered meticulously with monitoring and patient support. The professionals involved in patient monitoring improve anesthesia safety, and give you peace of mind that your pet is under the highest level of care. Why is anesthesia necessary for veterinary dental care? You and your human family members go to the dentist and tell them about the problem. The dentist tells you to "open wide" and he can see what is inside. The dentist explains what they will be doing in your mouth and how to let them know if the procedure is painful. The dentist uses local anesthetics and gas as needed. Your pet is brought to the veterinary dentist and may be fearful of the ride. We absolutely cannot communicate with them to understand their concerns. We know they are fearful, they will not open wide and we cannot look inside to identify, diagnose or treat problems. We can address their fear with tender loving and careful handling. We administer a combination of medications to help reduce fear, and to reduce the overall risks of anesthesia. Anesthesia is essential to help your pet and to adequately identify potential oral health problems using veterinary dental x-rays and properly clean or treat their teeth. We identify and treat problems during a single anesthesia period (in most cases) and transform your pet's mouth to a pain free and healthy condition. A healthy mouth allows for a happy, healthy pet. Do not ever consider any dental procedure promoted as being performed as anesthesia free! Your pet should always be cared for by a veterinarian. There are numerous "myths and misconceptions" that prevail in the veterinary profession with regard to anesthetics and anesthesia safety. These concepts have been detailed in professional veterinary journals. The use of inhalent anesthetics (gases) without premedication drugs may increase anesthesia risks for veterinary patients. A "multimodal approach" to anesthesia is strongly recommended by anesthesia specialists. Some anesthesia specialists state that the safety in anesthesia is largely derived from the people managing the anesthesia (see Anesthesia philosophy below). The anesthesia protocol (plan) is established with consideration of the pet's history, physical exam findings, medical tests, and the anticipated procedure to be performed. These assessments may be scored to recognize pets with particularly high risks for anesthesia (pets with heart, kidney, liver and lung diseases). These patients are often referred to Dr. Kressin by caring family veterinarians to optimize anesthesia safety. Dr. Kressin works with critical care specialists at the Milwaukee facilities. See our Anesthesia Chart Below by clicking either of the links. Charting anesthesia allows for improved patient care. It is a systematic approach to patient monitoring. Research has shown that a "multimodal approach" to anesthesia provides safety and optimal care. "Multimodal" simply means multiple modes, multiple methods, or use of multiple drugs at lower doses (for increased safety) to provide pain management, sedation (reduced anxiety) and predictable anesthetic depth. The specific drugs selected to provide anesthesia are not the same for each patient. A physical examination, blood screening, the pet's medical history and the intended procedure are considered together in selecting the anesthesia drugs. Safety associated with anesthesia is derived in part from this drug selection process. The entire perioperative period affects anesthesia safety. "Perioperative" period means the time period before, during and after anesthesia. Before anesthesia we want to be gentle and reassuring for the owner and the pet during the initial consultation. This is all about reducing fear through verbal and physical communication (petting the pet). If the owner is fearful, you can bet the the pet will be apprehensive as well, due to the unique human animal bond. This apprehension affects anesthesia. Premedications allow for sedation (reduce apprehension) and pain prevention. During anesthesia we diagnose problems identified from dental radiographs, periodontal probing and other evaluations. The diagnosis determines the best treatment and the pain management needs. Regional anesthesia or nerve blocks help dramatically with pain management and in the reduction of anesthesia gases required to keep the pet anesthetized (sleeping). This "multimodal approach" greatly improves safety by using lower drug dosages. After anesthesia, the pet is monitored very carefully. Dr. Kressin prefers to have someone holding the pet (or at least touching them for very large pets) until they are awake. At the Milwaukee facility, patients recover in the intensive care unit (ICU). 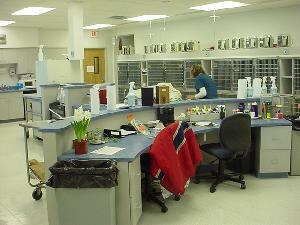 Pets go home with medications for continued pain relief and infection control. Your pet is kept warm with warm air (Bair Hugger) over the top of the body with over laying towels. Additionally, warm water blankets (Baxter water pump) are used below your pet during the anesthesia period. Baxter warm water blanket support. Bair Hugger warm air support. A warm patient is comfortable. Research has shown that careful temperature monitoring significantly reduces anesthesia risks. Our patients are continuously monitored using a temperature probe. 3) electrocardiography (EKG), heart rate, heart rhythm, pulse strength, and blood pressure help evaluate heart function. All patients receive intravenous (IV) fluid therapy before, during and briefly after anesthesia. Fluid therapy is used to prevent dehydration and to help keep blood pressure within a normal range during anesthesia. Research has shown that low blood pressure can cause tissue injury and have negative effects on the major organs (such as the kidneys). Additionally, an intravenous catheter during anesthesia allows for the administration of medications to help ensure patient safety. Patient care during the period directly after anesthesia is very important to ensure patient safety. Your pet is typically held by a doctor or a technician until they are reasonably awake. Close observation is continued during the anesthesia recovery period to help avoid patient discomfort, fear or injury. care for you and your pet!